Twenty-eight-year-old Taylor Fletcher has been nordic skiing and ski jumping nearly his entire life. He grew up training and competing in Steamboat Springs, Colo. He has been racing World Cups since 2010 and is a three time Olympian. The 2018/2019 season has been his best yet. 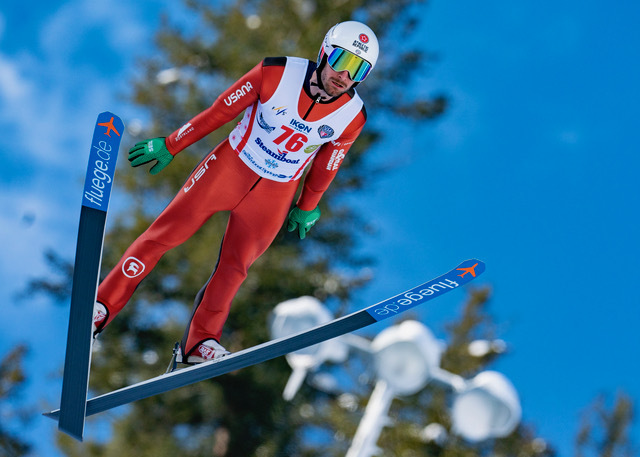 Fletcher began his season with two Continental Cup victories, one in each of his “hometowns”, Steamboat Springs and Park City, Utah. He has also brought a renewed spirit to his skiing and jumping. His ski times on the World Cup are blistering, with top-five and fastest times of day within reach. He posted two top-20 World Cup results in January. This past October, Fletcher’s father Tim passed away after a hard fought battle with ALS. Family remains important to Fletcher. His father’s passing affected him both mentally and physically but he is able to find strength from his loss and is able to transfer his feelings into his skiing and jumping. 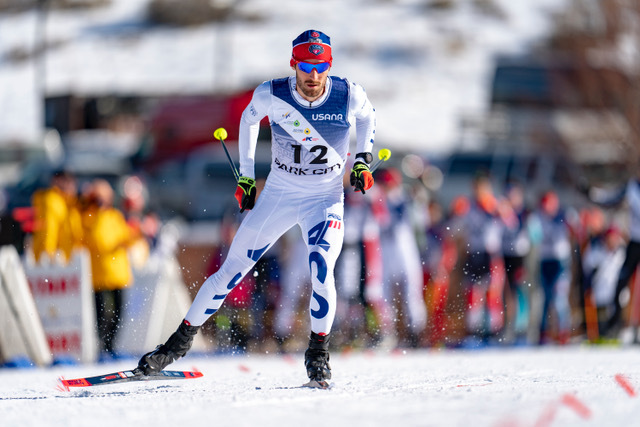 At the conclusion of an Olympic cycle in 2018, the U.S. Nordic Combined Team lost several athletes to retirement — most notably his bother Bryan. Team veterans Ben Berend and Adam Loomis also moved on from the sport. These vacancies made room for a few younger racers like Grant Andrews and Jared Shumate. FasterSkier connected with Fletcher in late January for an interview to discuss his season, his father’s passing, and the new team dynamic. FasterSkier: You started the season with wins in the two places you call “home”, how did that feel? Taylor Fletcher: Competing at home is always a dream. 2006 was the last time I had a international competition in Steamboat. It was a great honor to compete there after my father passed away and even better to honor him with a victory and second place. FS: How have you been processing the loss of your father and how has losing him impacted your training and racing? TF: It’s been tough, after he passed I was actually in Slovenia for a Grand Prix and he passed the day after my competition there. One of his last wishes was to have me stay over and continue training and continue progressing over here. But, emotionally, physically and mentally there was no chance that I could do that. And so it was important for me to go home to be able to regroup, refresh, kind of focus again and that was a good opportunity for me to do that. Every single one of my flights was delayed, I missed two of my flights because of those delays, so it was a challenging day. He wants me to continue skiing, he wants me to ski as long as I can and that’s my goal, to honor that. He’s definitely a big motivator for me, he’s a big reason why I’ve had a better season than the last couple of years. It’s because I have his thoughts and the motivation from him, so that’s been great. But, the day after he passed, I tried to go out and do some training sessions and there was no chance that I could train at all. I tried to do an intensity sessions and about a quarter of the way through it, I stopped and I just looked at myself and I was like “what am I doing?”. There comes that time for everyone, luckily mine hit me at a good spot and everything surrounding his passing was exactly what we were hoping for, it was super peaceful. I got to talk to him, or I was telling him some stories and he was actively listening and heard everything. It was funny, I was actually on a ski resort in Slovenia here and we knew that it was coming time, that it might be a day, or it might be a week, we didn’t really know. It was about five minutes after I got back from the resort that I was told give him a call to say my final words and it was about five minutes after I hung up the phone that he passed. He was definitely waiting for me to talk to him. I know Bryan had talked to him as well. TF: Losing Bryan [Fletcher], Adam [Loomis], and Ben [Berend] was a big blow to our team as we already have a small team. Having a big team is nice as they all want to succeed and it helps motivate you through the tough times. But unfortunately there is always a time when someone has to call it and unfortunately that happened on the same year. The team dynamic is great, its a young group of guys that want the best and push each other to be the best! FS: Do you miss competing with your brother? TF: Always, yeah. We pushed each other on a regular basis and that’s definitely different. But at the same time, it’s a little bit nice because we always seemed to bicker with each other when we were traveling. He always wanted to give me as much advice as possible, which was great. But now I have the free reign to do what I want and not have his input all the time. Don’t get me wrong, I really wish Bryan was still skiing and I wish Adam [Loomis] and Ben [Berend]were still skiing. FS: What were your goals going into this season? TF: It’s solely focused on World Championships, getting goals along the way, scoring points every weekend, jumping better and racing fast and being one of the fastest racers all year. And, so far, I feel like my goals are in line but I desperately want a World Championship medal of my own, an individual one. I’ve got some work to do, but that can come on the jumping side because I think the cross country side is there. FS: What about 5 year goal/plan? TF: Basically, I want to have this year as a year to have as much fun as I possibly can, and make it like those days at Howelsen Hill as part of the [Steamboat Springs] Winter Sports Club. And then I’ll decide from there whether or not I can continue doing that. In reality, we all want to have as much fun as possible and we all know that having fun can breed good results and success. So having this model going forward I think is good for me both mentally and physically and it allows me to do what I want to do and that’s what’s most important. FS: What has been your favorite moment of the season so far? TF: I think my first competition jumping in Lillehammer, Norway, I jumped to 16th, which was actually a career tie. But the highlight was having the second longest jump of the whole field. I want to have more days like that for sure, but that was a pretty good day for me, definitely a peak day and those are always hard to come by. But at the same time, I know that I did it once, so I can do it again. FS: What races are you looking forward to this season? TF: Seefeld, Austria for World Championships is definitely the one I’m looking forward to the most, good race course, beautiful venue, tons of snow this year. So I just hope I can put it all together on that day and come out successful. FS: You have had some of the fastest ski times on the World Cup- how does knowing you can kill on the ski course affect your jump prep? TF: It’s just one less thing I have to worry about, kind of a Forest Gump quote there. But I can just focus on my jumping and not have to really rely 100% on cross country to get things done. That makes it easy for me, the more I can think about the jumping side, the easier that will get. 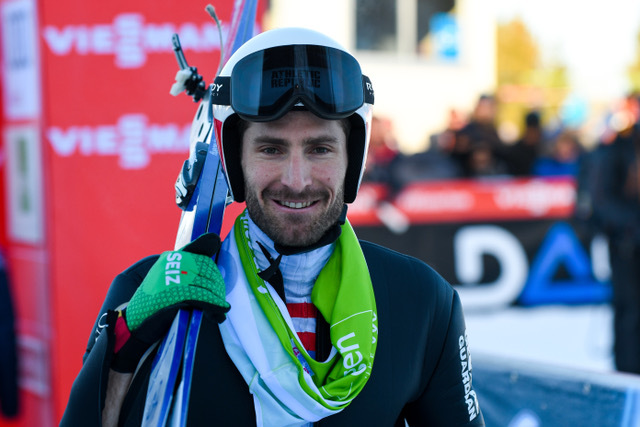 Four World Cups remain for Fletcher before World Championships take place in Seefeld, Austria.